$659.99 Seen a lower price? The Casio PX-350 represents a significant step in the continuing evolution of the Privia digital piano line. A combination of updated keyboard action and a more powerful sound engine provide a level of detail, nuance and expression for a superior grand piano experience in the lightweight and stylish design that the Casio Privia line is known for. The award-winning grand piano sound in the Privia line has been dramatically improved. The PX-350 utilizes more than three times the memory of the previous generation for a more natural piano tone. 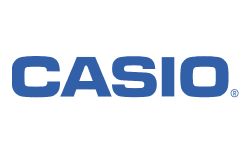 In addition, Casio's proprietary sound source "AiR" (Acoustic and intelligent Resonator) provides unmatched realism and detail. This engine provides seamless dynamics for a remarkably expressive and powerful performance. For further realism, a Damper Resonance simulator provides the rich sound of the strings when the sustain pedal is used. The PX-350 also features a redesigned 88-note Tri-sensor scaled hammer action keyboard. The updated action features simulated Ebony and Ivory textured keys for a incredible feel and its three sensors capture the dynamics of a performance with unparalleled speed and accuracy. To further enhance the experience, the action and sound engine take into consideration the speed at which different sized hammers move inside an acoustic grand relative to the velocity the keys are pressed. This timing nuance provides the ultimate key to sound experience. The PX-350 has a total of 250 instrument tones built in. Strings, organs, electric pianos, brass, drums, bass and more -- and with the PX-350's registration capability, you can store your favorite splits and layers for live performance use. The PX-350 also has 180 drum patterns with full auto accompaniment and a 17 track recorder for composing your own songs. Ready for the stage or studio, the PX-350 has 1/4" audio outputs so you can easily connect the PX-350 to recording and sound reinforcement equipment. The optional CS-67 puts the PX-350 at the proper height but can easily be removed so you can take the 25 pound digital piano to the gig. The optional SP-33 pedal system provides the same 3-pedal functionality as a grand piano. NOTE: Power supply is included. Available until 11 PM (EST) today. Mention special code 201-63JS when you call.